Presenting a very special and rare opportunity! 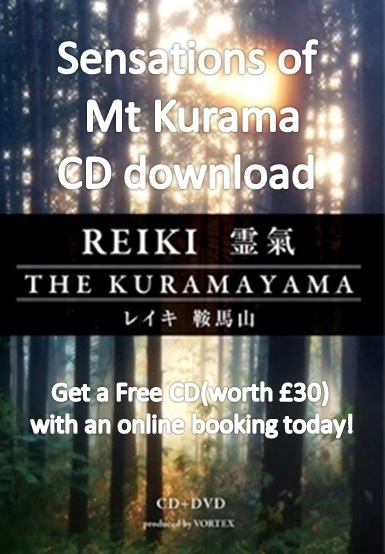 Book online and get a free gift: “Mt Kurama” CD!! to the winners on the day of the seminar. Graduate of the Sophia University Law Faculty. 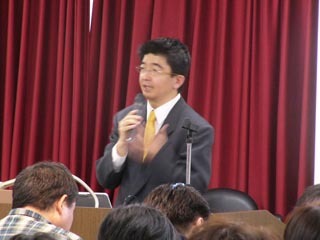 Toshi Mochizuki is a spiritual advisor, a businessman, a Reiki Master, a popular Seminar Lecturer and Author. His most well known works relate to the practice of Reiki include “Iyashi no Te” (Healing Hands) and “Cho Kantan Iyashi no Te” (Super Simple Healing Hands) On the 27th of June 2013 “Iyashi no Te” (Goma Books Co., Ltd) was re-released as an e-book and reached the number 2 position on the iBook store and Amazon Kindle bestseller lists. Furthermore, as of June 2013 Toshi Mochizuki has trained up over 40,000 Reiki healers. His customer satisfaction record is over 99% and he continues to contribute to people’s lives, earning the love and admiration of his many fans. However, despite his current success, 20 years ago Mochizuki’s life was at rock bottom. Facing crippling debts and having suddenly loss of his job just after the birth of his first child, he was afflicted with full body atopic dermatitis and seriously considered suicide. He picked himself up and used a method to get his life back on track and create success, a secret which will be revealed at the upcoming London seminars. Toshi Mochizuki has also achieved great success in other fields, being a proponent of the “Treasure Map”, a method to help people realise their dreams. Also the “Energy Master” healing technique. As a popular lecturer he travels across Japan holding exciting self-improvement and motivational seminars. 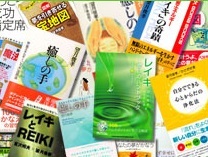 He has written over 30 books including “100% Yume wo Kanaeru Hito no Shukan” (The Habits of People Who Realise 100% of Their Dreams) (Chukei Publishing). His recent work, “Seiko Kairo ga Dekireba Subete ha Umaku Iku!” (Everything Will Go Right if You Can Create Pathways for Success) (Goma Books Co., Ltd) has reached number two in Japans total sales rankings for electronic publications. On the 27th of June 2013 Mochizuki’s flagship publication: “Iyashi no Te” (Healing Hands) (Goma Books Co., Ltd) was re-released as an e-book and reached the overall number 2 position on the iBook store and Amazon Kindle bestseller lists. Reiki is the world’s most popular complimentary healing technique and method of promoting self-growth and self-realisation. It is a method that I encountered some 20 years ago in 1993 while investigating, researching and practicing all kinds of health promotion methods. After just two days on a Reiki seminar I became utterly enthralled by this technique and have continued to practice it since then. I could feel the benefits of Reiki right away at that very first seminar. Is it really true that an anyone can learn the technique? Can Reiki be used to promote psychological well-being and spiritual development as well as for health benefits? Can Reiki be used by pregnant women and those in poor health? Is there a lot to learn and remember? Is it tricky to continue using Reiki on a daily basis? Will it be possible to use Reiki to heal others around me? Is it possible to use Reiki in combination with other healing methods such as reflexology and chi kung? Can I expect Reiki to bring about improvements in interpersonal relationships and lifestyle? Feel Reiki change yourself and your life! Reiki is a method that can be done simply and easily, by anyone, anywhere and at any time. It can lead anyone to a richer and more fulfilling life with health, energy, passion and spiritual growth, regardless of age (I have had people from 2 years and 8 months, right up to 95 years old attend seminars) or lifestyle. A natural and effortless method to practice! After learning Reiki you will be able to incorporate it simply and effortlessly into your daily life. Performed naturally and with no unnecessary exertions, you will see many positive changes, both internal and external, and come to know a brighter and more amazing you. Reiki becomes such a natural part of your routine that I have even heard from those who say that after 10 days of use they do not feel right for the day if they have not practiced it yet. win a £10 seminar discount voucher!! Which of the following seminars are you interested in? Please let us know your opinions about Toshitaka Mochizuki or if there is a type of seminar that you would like us to run etc. for everyone who booked the ticket online!! A fantastic musical experience that embodies the inspiration from Mt Kurama! "Mr Kurama" is a ground-breaking healing music album, produced by the inspiration from the Reiki Birth Place Mr Kurama in Kyoto. Mount Kurama (鞍馬山) is a mountain to the north-west of the city of Kyoto. It is the birthplace of the Reiki practice, and is said to be the home of Sōjōbō, King of the Tengu, who taught swordsmanship to Minamoto no Yoshitsune. Submit your feedback to be in with a chance of winning these great prizes!